Most Believers do not rise to their full privilege in prayer. Successful prayer cannot be rushed. If we want to hear from Heaven, we must allow time for God’s voice to successfully break through the din of life. When we have a tremendous amount of work to be done for the day, we dare not leave out prayer. As Martin Luther observed, “I have so much to do that I shall spend the first three hours in prayer.” The real danger in not taking sufficient time to commune with God and implore him for our requests is the resulting slow erosion of the Spirit’s voice, when life’s static distracts a Believer from what is truly important and necessary to a successful life. 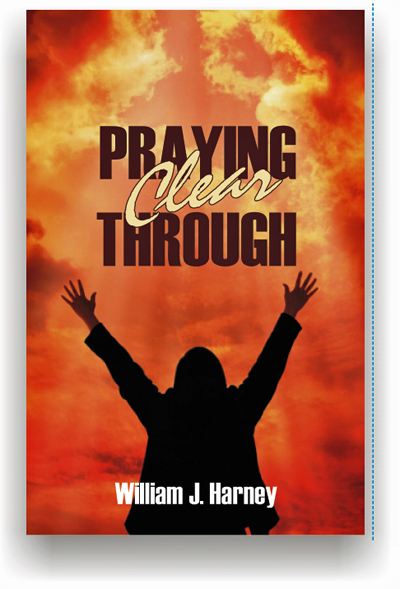 In Praying Clear Through, William Harney demonstrates by examples from his own life that us there are vast rewards in store for those who make prayer a top priority on a regular basis. But prayer is not a chore for the growing Christian; it is one of the highest privileges accorded us. The author decried the fast pace of his age for crowding out the time of prayer— a century ago! If life was too busy then, what would he think if he could see the prayer life of the average Christian today? Using a phrase fast falling out of use, he urges Believers to “pray clear through”— that is, pray with urgency until we hear from Heaven. Here is a rare but desperately needed message for all Christians today.